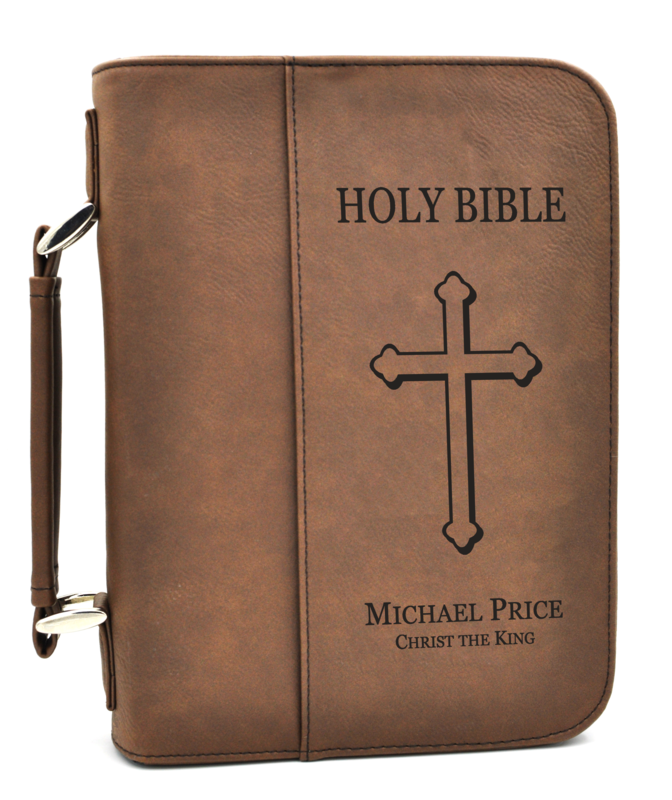 Whether you're headed to church, Bible study, or simply bringing your Bible along with you, our Holy Bible book cover is perfect for protecting His word from the rigors of daily use! Our personalized Holy Bible Book Cover with Ancient Cross, crafted from the highest quality workmanship, is sure to become a beloved part of your daily prayers for years to come! Bible/book cover measures approximately 6 3/4" x 9 1/4"